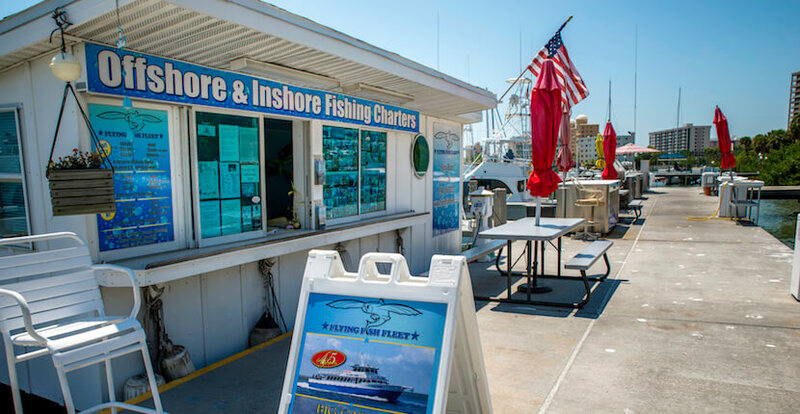 Daily half to full day, family-friendly inshore and offshore private and party boat fishing trips suitable for novice to seasoned anglers of all ages. The 24’ charter boat can comfortably accommodate up to six passengers and is equipped with two live bait wells, a power pole, and trolling motor. Fish for snook, flounder, pompano, tarpon, redfish, and trout. The 43’ charter boat features air-conditioned staterooms and restroom and is equipped with a built-in fish box, live well, and tuna door. Private and split-charter rates are available. 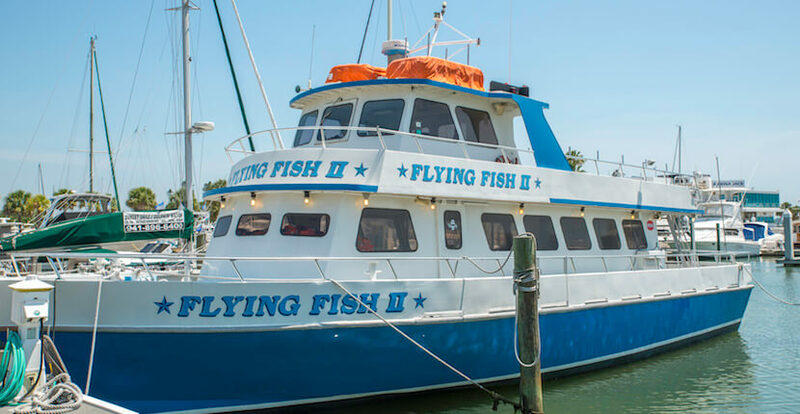 Flying Fish Fleet offers party boat style fishing charter trips about the 85’ Flying Fish and the 75’ Flying Fish II daily. The Flying Fish can accommodate 80 passengers and is equipped with cushioned seating, full galley, two restrooms, and a spacious upper deck. The Flying Fish II features a large salon, cushioned seating, full galley, two restrooms, an upper deck, and spacious bow and stern areas. Choose from half day, ¾ day, or all day trips. All trips include rod and reel, fishing license, optional fish cleaning available for an additional charge of 50 cents per fish. 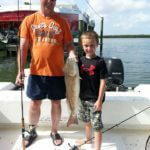 All excursions include rod and reel, bait, and fishing license. Food and beverages are available for purchase. 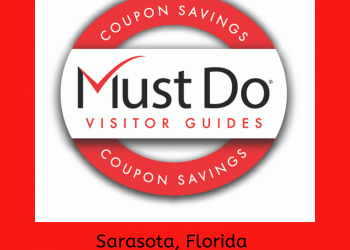 All charters depart from Marina Jack at Sarasota’s Bayfront Park. 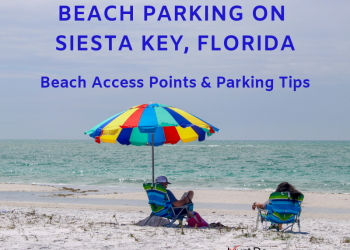 Plenty of free parking available. Reservations are required. 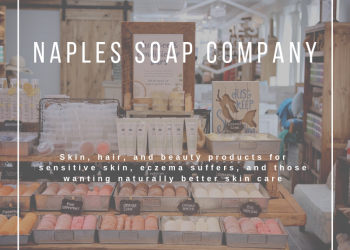 Discounts are offered for children and seniors.